► Big diameter and more optical fiber. ► Big tensile strength and short-circuit current capacity, arrive the best balance of machanical and electrical properties. ► One or more optical unit. ► Best design of stranding, obtain secondary optical fiber extra length. ► Strands plies can be two or three, the wire can be ACS wire and/or the combination of aluminium alloy wire and aluminium wire. 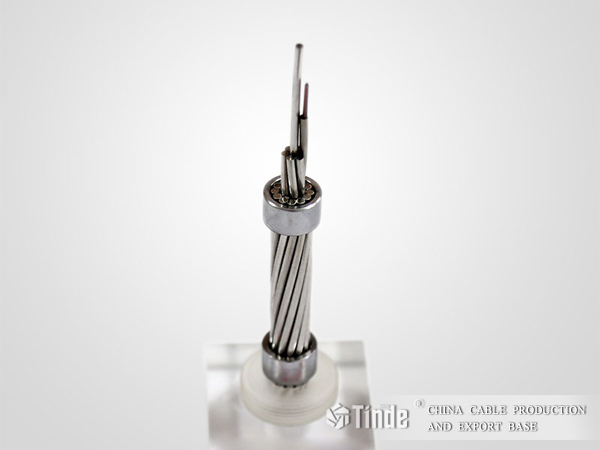 Tinde Stranding SST OPGW is produced by way of comprehensive stranding the ACS wires and SST optical unit which replaced one or some of ACS wires of traditional ground wire cable. It realized the function of optical fiber communication and has bigger diameter and more optical fiber compared with center SST OPGW.